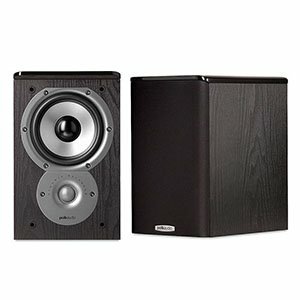 A lot of those interested in getting a good set of bookshelf speakers generally tend to go for a $100 set. The general reasoning is that you don’t want to over-commit, especially when some speakers in that price range are rather decent. However, if you go one price category up, you can really find some incredible speakers. These are guaranteed to give you a more accurate picture of what high-end audio is all about. In a way, most $200 bookshelf speakers serve as a good sampler platter for the experience you can find in $500 range or higher. An attractive visual design that is also highly functional. Placement options: they sound great on walls and on a stand. Great audio performance for this price range. Lacking a little in detail, but this isn’t a major issue. JBL have done a phenomenal job with the Arena 120s, and in many ways they are about as good as you could hope for in this highly competitive price bracket. With an attractive, unassuming design, and a form factor that allows for multiple placement options, the fact that the audio quality is so great is the icing on the cake. ​Across the board, the listening experience is extremely enjoyable and packs a surprising amount of punch for a pair of bookshelf speakers which, generally, struggle with volume as a rule. That said, the clarity and detail is a little lacking and this is something which is increasingly apparent as you turn up the volume and listen to more complex tracks. Polk Audio’s TSi100s are a strong entry into the $200 bookshelf speaker category. With a great deal of visual flair that you would usually have to pay a lot more for, it is easy to overlook a mildly disappointing bass response in light of just how good the highs and mids sound: clear, crisp, and wonderfully warm. ​One of the classic issues which manufacturers of bookshelf speakers encounter is that the form factor makes it incredibly difficult to create a viable, warm, and punchy bass response because there simply isn’t enough room either to cram in the hardware or to allow for enough internal vibration. The TSi100s do suffer from this, and the bass can be underwhelming in a minor, but noticeable, way. A distinctive, attractive design which surpasses others at this price. Surprisingly powerful, high quality audio from such tiny speakers. Small form factor means lots of placement options. Not a subtle performance, but the sheer energy counteracts this issue. Klipsch’s RB-10s are a very solid offering that is packed to its pretty small brim with big surprises. From the tiny form factor with an unusually high quality visual design right down to the sound that exceeds any expectations you could have from a model this size, they’re a fantastic choice for the price point. ​The RB-10s struggle a little in terms of delivering detail in their audio reproduction. The generalities are all great, and you get a fantastic sense of the shape of a track when listening back on them, but the specific dynamics can become a little lost in the mix. This is particularly evidence when listening at any significant volume, but that is to be expected given the size. Balanced performance across the range. 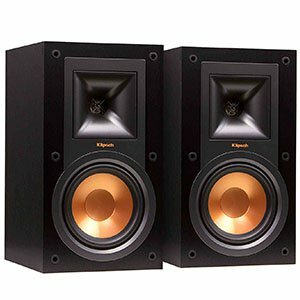 Klipsch R-15M bookshelf speakers bring the transparency usually found in studio monitors, with a twist. Klipsch implemented some more advanced solutions, such as the Tractrix horn for the tweeter. This, along with neutral voicing of the transducers, results in a great output and performance. Compared to other models in this price range, R-15M will give you a more memorable experience. 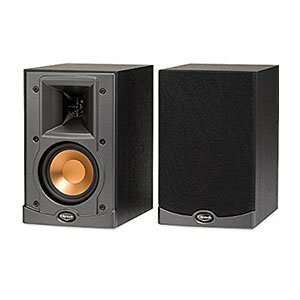 ​As is the case with many bookshelf speakers, the bass response is underwhelming relative to the rest of what the R-15Ms are capable of putting out. This is not a huge problem by any means, but is worth considering if you are hoping for something which packs a serious punch in the lows. That said, the overall effect does not suffer much from this omission. Impressive set of features for the price. Simple yet attractive cabinet design. Lots of upgrade paths and solid core performance. Bass drivers are still somewhat underpowered. Presonus Ceres C3.5BT offers a pretty unique combination of performance, versatility and design. Considering the price you are asked to pay for a set of these, it’s fair to say that the value you get in return is well worth the investment. The specs are there and so is the practical performance. Impressive transition between trebles, mids, and lows. Great clarity across the range. Incredible value for the money. Not much reach in the bass range. When Andrew Jones takes a break from designing five figure speakers to create an affordable model, great things are bound to happen. Pioneer SP-BS22-LR packs an impressive performance thanks to its unique cab design, a rather complex crossover, and carefully selected transducers. 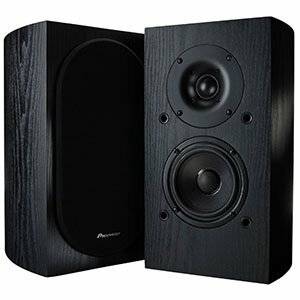 It is fair to say that these are among the most capable speakers in their respective price range. ​You will probably be familiar with the common complaint about bookshelf speakers which is that they fail to produce much power in the bass range due to limitations of their form factor. We actually found that this wasn’t too much of an issue with this model, but while the bass was able to perform well at volume it did suffer in clarity as you ramped up the power. Good performance across the frequency range. Simple cabinet design with a few well thought out solutions. Positive bang for the buck ratio. Less than perfect Behringer quality control. 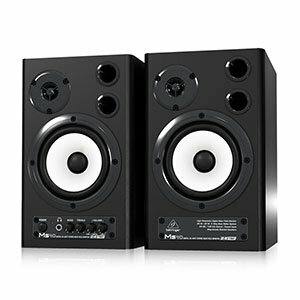 Behringer MS40 is a set of active bookshelf speakers that offers a great balance of price and performance. The device’s larger than average tweeters can really boost your listening experience. Even though the full range driver is a bit undersized, you won’t find MS40 to bee too limited. 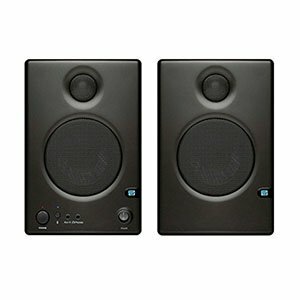 If you are after some active bookshelf speakers, check these out. You have a good amount of customization options on offer which will make the world of difference if you take thetime to sit down, read the manual, and properly configure them for your listening space. Whilst the bass is a little underwhelming at times, this is pretty much to be expected from a bookshelf speaker given its size and is not a major concern in the grandscheme of things. Good balance across the range. 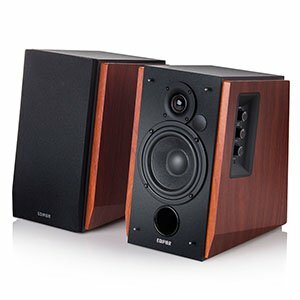 Edifier speakers are fairly unique in terms of performance and flexibility. What we have here is a model that brings refined audio to those who aren’t interested in getting a standalone amplifier. On top of that, the R1700BT meets modern standards of connectivity that include Bluetooth support. Overall, they’re a great choice for anyone who wants to get into quality audio. ​The design choices that Edifier has made with the R1700BTs must be commended for their subtle innovation on a classic aesthetic. They are truly a fantastic looking pair of speakers which will look good in any room. As is the case with most bookshelf speakers at this price range, the bass is restrained at times, but not in a way that ruins the overall effect. Great aesthetics that look much more refined than they are. Rock solid set of hardware with enough potential. Impressive performance right out of the box. Tweeters are too bright and will need some EQing. BIC America DV62si are arguably one of the most overlooked bookshelf speakers in their respective category. These come with proper set of transducers, a great cabinet and enough power to boot. Only thing that is necessary in order to push them to their limit is some light EQ work. That much we can take at this price. ​Usually when it comes to bookshelf speakers, we find fault with the lack of a bass response. This, for once, is not the case with this pair. The bass is surprisingly robust and well defined with a lot of weight behind it. That said, the opposite problem seems to exist: the highs are inordinately bright and would benefit from a little manual EQing. Fantastic audio which exceeds all expectations. A nice, if somewhat generic, design that has a few interesting touches. A versatile form factor which allows for a lot of use cases. Although the sound quality is good, it isn’t the largest sound. 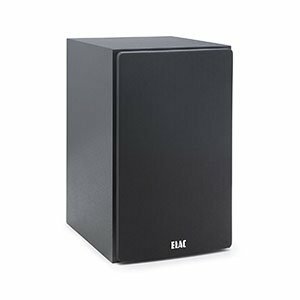 Elac has done a phenomenal job with the Debut B5 series. Despite a somewhat underwhelming design, closer inspection reveals a great attention to detail which you won’t often find at this price point. And once they’re on? The audio quality is strong. It’s balanced, energetic, and detailed, and although they sound as small as they are, the performance is great. What Can $200 Loudspeakers Offer? Many people in the know will tell you that the border between $200 home speakers and those which are more affordable than that, is blurry. That is a fairly accurate assumption. However, there are certain things you will find in this price range that offer a significant improvement. First of all, there is power. More often than not, a $200 speaker will be more powerful than a $100 one. The way this power is handled is also a bit different. If you look at the Pioneer SP-BS22-LR, you will find a very complex 6 element crossover. This simple addition of a crossover means that you will get a more refined transition between different parts of the frequency range. That, in turn, creates clarity and definition. 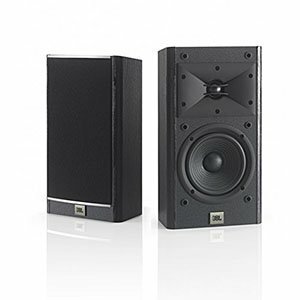 One of the main attributes of cheap speakers is a heavily accentuated low-end response. Much like cheap headphones, the manufacturers do their best to mask the shortcomings of their product by overwhelming the user with extra bass. That type of design is not as present in $200 speakers. Instead, more effort is made to deliver good trebles and lively mids. With that said, not every speaker will come with a crossover. Even those that don’t are generally voiced more efficiently. While a $200 bookshelf speaker is going to be far from the best there is, that extra investment brings so much additional value to the table. A good loudspeaker from this segment of the market will add color to your favorite music in a way that standard computer speakers simply aren’t able to. We have found that manufacturers are more engaged in both the interior and exterior design as well. 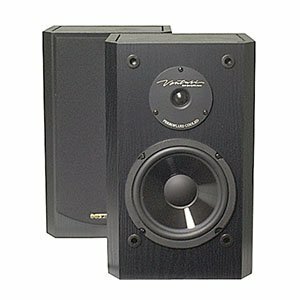 Transducers found in speakers from this price range may not be large, but they will be much more capable by default. You will start seeing composite woven cones, use of Kevlar and similar more advanced solutions. As it is the case with just about any price category, there are good and bad speakers. Doing some research into finding a set that has proven its worth quickly filters out the bad ones, leaving you with solid options. With that in mind, there are some awesome hidden gems out there as well. The bottom line is that a $200 pair of bookshelf speakers brings a tangible upgrade compared to cheaper models. In a perfect world, this is the price range we would recommend you to start with if you are new to the world of quality audio. Models listed above are just some of the ones that really stand out in this highly competitive segment. Their performance has been proven many times by now, which was recognized by more experienced audiophiles as well. In short, if you want a low-risk solution, any speaker from our list will work.